Modern Muffin founder Claire Putterman. Charlotte-based Modern Muffin claims to make the city's best muffins. After tasting the Orange Pineapple Poppy Seed variety, we're starting to agree. It was "bursting with real fruits," just as it claimed on the box of four we purchased at Harris Teeter. And we like that the company describes its products as "a healthful indulgence." That's truth in advertising because at around 300 calories each, they are a treat. But they're also a healthier alternative to the usual muffin (Modern Muffin claims its products have 40 percent less sugar and calories than most others on the market). We also like that each muffin is individually wrapped to make sure it stays at its peak flavor. Because the muffins are made with fresh ingredients, be sure to heed the expiration date. We recommend freezing the ones you don't plan to eat within a few days. The baker behind the brand is Claire Putterman, a former French teacher at Providence Day School who founded the business in 2011. She perfected her recipes after years of trying to incorporate fruits into healthy food her children would eat when they were younger. Now her children are grown and work for her company. There are eight Modern Muffin varieties, but some are seasonal, including Strawberry Berry, which is available now. They're sold at Whole Foods stores in North Carolina and at 34 Harris Teeter stores in Charlotte. 704-542-8369; www.modernmuffin.com. Athletic-inspired shoes from Johnston & Murphy at SouthPark Mall. Spring in Charlotte is a beautiful thing to behold. But some days it seems best to view the gorgeous weather while you’re inside looking out thanks to all the pollen. Allergies are just one of the reasons people turn to exercising indoors this time of year. If you want to put some pep in your step no matter what the weather is like outside, there’s a free indoor place to exercise that’s definitely not your average gym: SouthPark Mall. Starting at 7 a.m. Monday through Saturday, people begin showing up to walk the mall’s corridors at their own pace in the quiet time before all the stores open at 10 a.m. On Sundays, the hours switch to 8 a.m. before the stores open at 12:30 p.m.
Nicole Kennon, Director of Marketing and Business Development for SouthPark Mall, told us that usually around 30 mall walkers turn up in the mornings. “It’s open to anyone, but what we find is that it’s mainly seniors and young mothers with strollers,” she said. “We see an influx this time of year and when it rains." Wearing casual clothes and sneakers, the walkers arrive alone or in small groups. All of them definitely have the chance to meet their daily exercise quota since the mall is the largest in the Carolinas. The only advice Kennon has for newbies is to remember that since all the stores are closed the only way to get in is through one of the mall’s main entrances. Security guards start opening the entrance to the front of the mall that faces Sharon Road first then work their way around to the other main entrances. Kennon has gotten to know some of the regular walkers over the years since she sees them in the mornings on the way to her office. “It’s fun to see how much they enjoy it and how some really use it as a time to socialize” she said. “Some of them time it so after they’ve finished walking they can stay and have coffee or they’ll shop and have an early lunch." 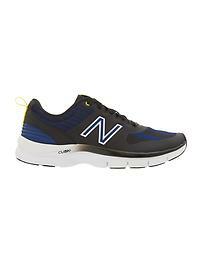 Top row, from left: Derek Lam 717 sneaker by New Balance, $80. Sleek leather jacket (in black or dove), $498. 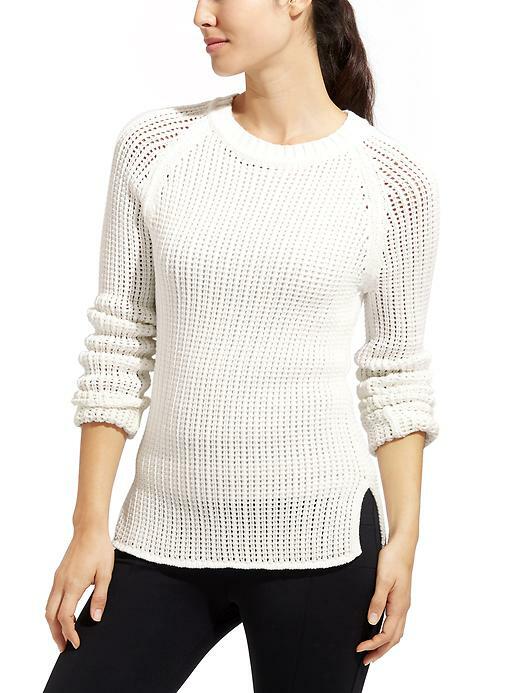 Crosswalk sweater in dove, $158. Stripe fluid dress in black and estate blue, $148. Bottom row, from left: Crosswalk cardigan sweater, $168. 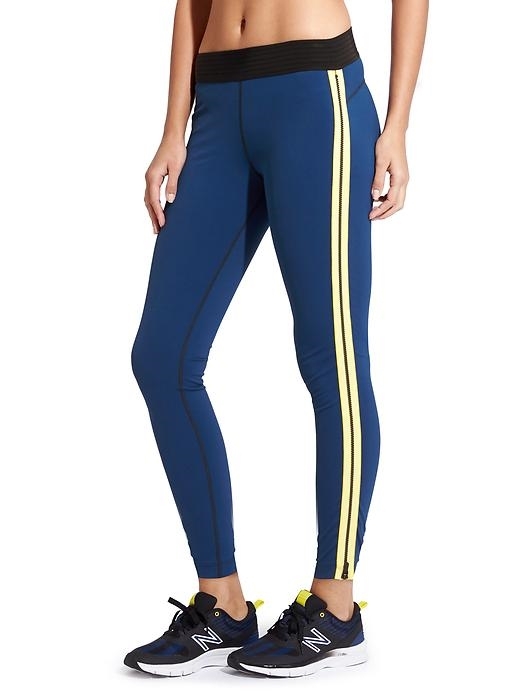 Parallel zip tight in estate blue and blazing yellow (also, gray and white, and black and white), $98. If you read Consumer Reports magazine, you may go organic. At least when it comes to string beans. The magazine compared 28 fresh vegetables and found that conventionally grown string beans had the highest pesticide risk, by far. The article stated that a serving of green string beans grown in the U.S. was 200 times riskier to eat than a serving of U.S. grown broccoli. To reduce your exposure to pesticides, the magazine recommends buying only organic string beans. Can playing or listening to classical music make you smarter? Yes, according to a recent study from the University of Helsinki published in the journal Scientific Reports. It details experiments by researchers who used brain scans to reveal playing or listening to classical music can give the brain a boost at any age. The conclusion was that music stimulates the genes involved with learning and memory, plus it causes the body to release the happy brain chemical dopamine. On the eve of Opera Carolina’s production of Romeo & Juliet (Jan. 24, 28 and 30 at Belk Theater; www.operacarolina.org), Meena elaborated on his thoughts with the passion, intelligence and musical knowledge he’ll bring to the podium when he conducts the performances. His words stimulated our brains so much, we decided to divide them into two Acts, plus an Intermission. And don’t miss the finale. Nessun Dorma by Puccini from Turandot. “Not sung by Michael Bolton or Andrea Bocelli but by a (trained opera) singer like Franco Corelli or Luciano Pavarotti,” he said. For video of Pavarotti performing the aria in 1994, go here. Casta Diva by Vincenzo Bellini as sung by Maria Callas. (To see a video of Callas performing the aria in Paris in 1958, go here. Wintersturme from Die Walküre by Richard Wagner as sung by Lauritz Melchior. For an audio recording of Melchior performing the aria, go here.